When we really start to think about it, it’s a sad world we live in today. The internet has opened up a world of opportunity for businesses and homeowners seeking ideas. But unfortunately it has also opened the door to scammers and thieves. We like to do our part to educate business leaders and homeowners. Usually that education just includes things like landscaping, snow removal and construction tips. But we realize there are many scammers out there in all those areas of our business. So today we’d like to share some tips for how to avoid scams in general. Let us know if you would like to discuss a potential scam that has come your way. Or perhaps an upcoming landscaping, construction or snow removal service need. We would love to show you how a reputable company works! We’ve heard or seen them all. Then there’s the oddball email claiming that money is on the way (often from Nigeria): “We’ve inherited money and will share it with you if you help us move it to the US. Or you’ve won the lottery and we need your personal information to put it in your account. ” Nope. No money is coming in. Better keep your day job. As a basic rule, if it seems too good to be true, it probably is. That’s the first thing to keep in mind when trying to recognize a scam. Our inherent optimism causes us to second guess this logic sometimes. And unfortunately, the elderly are common targets. Good-willed and less technologically inclined, Grandmas across the globe fall for these traps on a regular basis. 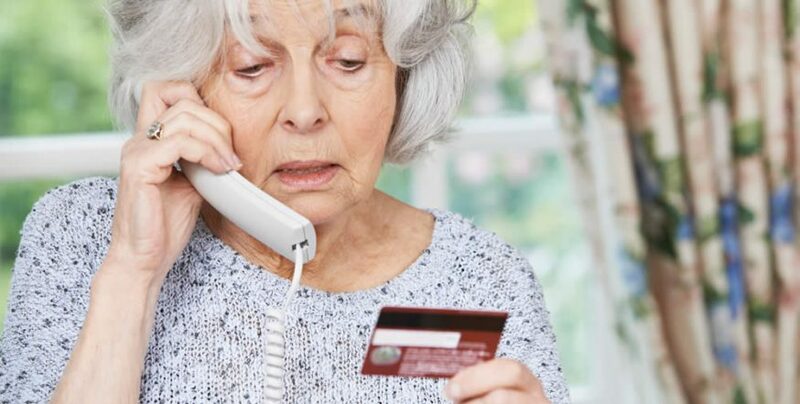 Scammers prey on a Grandma’s good nature and willingness to trust. There are specific scams related to landscaping, snow removal and home construction. In fact, even in Bethesda, Baltimore and Washington DC, snow removal scams are common. Look out for people knocking on your door after a storm claiming to be with a reputable snow removal company. They may make promises of plowing your snow, get a credit card from you and never return again. First, reputable businesses don’t gain new clients that way. Secondly be sure to get a business card from anyone that knocks on your door. And lastly, never give anyone money in advance of a service being completed. In any construction industry, checking references is essential. Shysters pray on fears and know how to create a sense of urgency. They demand payment up front so they can get to “work”. Money is exchanged, and like Houdini, these scammers disappear into thin air, and little to no work is done. Even if they don’t ask for money upfront, scam “workers” who claim to be with a company may have more nefarious intentions of theft or worse. Protect the home and leave them in the cold. Get the name and number of their company (business card) and tell them you will get back to them. Call your local Better Business Bureau or look them up online. If they do not have a card or a way to confirm their associations, gently send them on their way. They may be nice enough, but better to not take chances with home and health. Rule #2 – Never give money up front for work. Anyone over 60 was raised in an era where a handshake meant a contract. Savvy consumers today must insist on a contract or something in writing. Even our esteemed government falls prey to shady characters in construction projects, development, refurbishment and fake permits! No one is exempt. Sadly, one must always guard and double check to ensure the safety of the home, business, and bank account. Get a written contract or estimate, check the reference and pay only when the job is completed. This applies to ANY home improvement, repair, replacement, snow removal or landscaping job. Be diligent in checking references and affiliations. Keep your home, business and family protected and secure by following these precautions. Trust only top local experts with the most solid credentials and be cautiously aware of potential scams. And the best way to prevent a scammer from catching you off guard is to do your research upfront on snow removal services, home construction and remodeling and landscaping. If you are located in the greater Washington DC or Bethesda, MD area, contact us to set up a meeting to discuss your needs. We provide free consultations anytime!